Thank you for 30 Years in Kirkland! Now open in Monroe as! Got troubles with your car's differential? We can help. 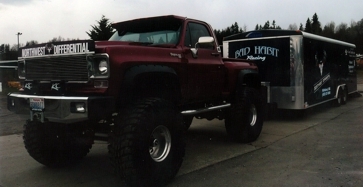 Located in Monroe, WA and serving the Pacific Northwest region, our service technicians have over 38 years combined differential experience and over 45 years of automotive service experience. While specializing in differentials, we work on all makes and models of vehicles and perform a variety of automotive repairs, modifications and customizations. Northwest Differential is committed to quality, integrity, and customer service. We have been providing expert automotive service since 1988.